Go wild with our Bear themed Northwoods kit! 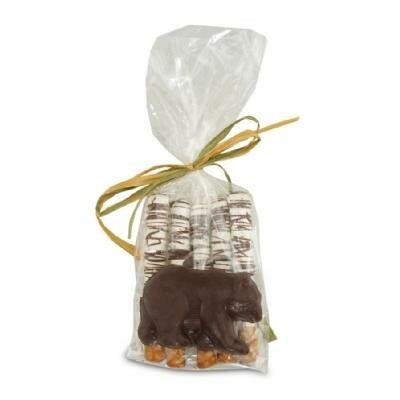 3.36 oz Clear cello bag filled with 5 Birch Log Pretzels and 1 chocolate candy black bear mammal animal. 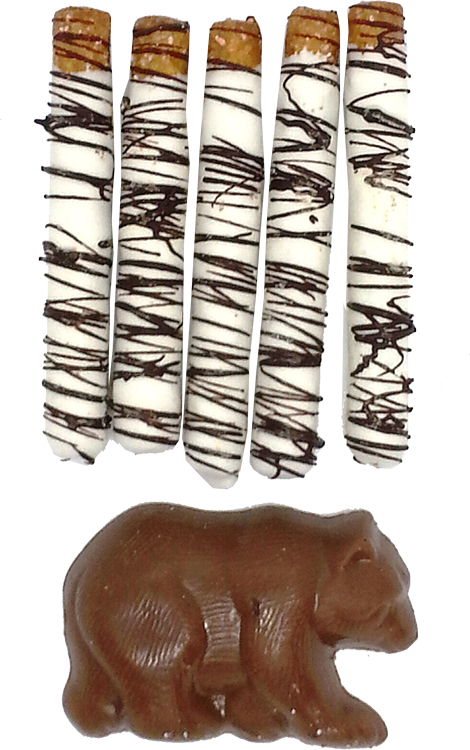 Birch Log Pretzels available in white chocolate candy only. 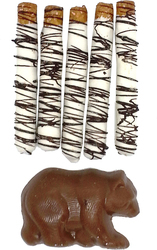 Black bear available in all four flavors. Coordinate ribbon color to match corporate or theme colors. Price includes 4 color label applied to the bag. Makes a great food gift or up north cabin resort promotional giveaway.